Today, you may only need your fingers to press the right button before the garage door will open and let you into the garage, but some decades ago this image existed only in science fiction. Every single second someone uses a garage door clicker in Toronto putting the complicate mechanism of the garage door in motion with speed, comfort and safety. 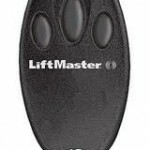 You may prefer a device produced by Liftmaster or any other major company but, in fact, the results will be the same and for many of you this will be your basic tool to enter your home or office. Homeland Garage Doors Toronto can regulate, program and replace any garage door remote in minimum time and make sure of its good communication with the opener. Many residents of Ontario can take care of simple things like changing the batteries of their garage door remote clicker, but the rest falls in our hands. Garage Door Remote Clicker Toronto is a special department of our company that will not only change the batteries, but will also clean the inner circuits, make the necessary adjustments or replace it with a new device, if it’s broken or lost. 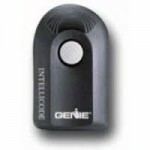 A modern garage door remote control is actually another key to the house and offers great safety to the homeowners. 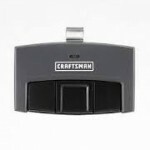 It can control more than one openers and the current rolling code technology may prevent anyone from tracing the codes. Yet, each installation has its own needs and Homeland Garage Doors Toronto can help you choose the most appropriate one for yours.